The first key difference when you deal with Away With It is that we are one of the most established and reliable firms in the area. 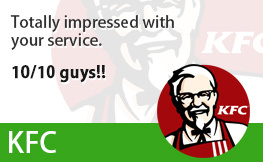 We arrange delivery and collection times in advance with you, and always turn up when agreed. This means no waiting around or being let down. It also means you can plan you week properly, knowing confidently when we’ll arrive. We even ring in advance to confirm that we’re on our way. More than our reliability, however, is our flexibility. Many skip hire firms work standard “business hours”. However we know that this isn’t always a practical solution for our customers, so we are available from 7 in the morning till 11.30 at night. 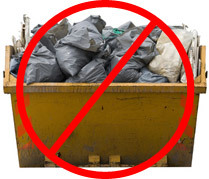 This means that collections or deliveries of skips can be made before or after work. Additionally we also operate on weekends if this is more preferable. No matter how busy your life might look like, you can feel confident that we can accommodate you. Then of course there’s the famous Away With It style of customer service. 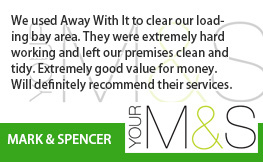 Far from just dropping off a skip and leaving it to you, our goal is 100% satisfaction. This means that we’ll liaise with you to ensure you’re perfectly happy with our service throughout, and we’re never more than a simple phone call away. Unlike some of the bigger firms out there, you’ll never be “just a customer” to our close-knit team. 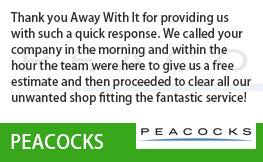 We genuinely value your business and aim to make dealing with Away With It surprisingly enjoyable. If you’re looking to hire and skip then we’re happy to help you. 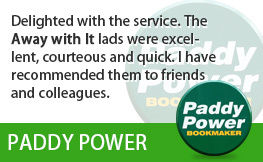 However we also offer a second service which often achieves the same result but for less money. 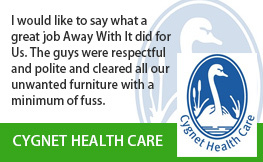 The first important difference with our waste removal service is that we do all the hard work for you! Our friendly and hard-working team will visit you in Hornchurch to collect any and all waste that you need rid of, whether that’s garden refuse, builders waste or general household junk. We’ll load it into our truck, clearing up after ourselves, meaning you don’t need to spend your day dragging things out to a skip. When you hire a skip you pay for the whole skip, irrespective of how much space you use. Our waste removal service is different in that you only pay for the space on our van that you use. This can make it a far more cost-effective option. Lastly, of course, you won’t have the inconvenience of a skip in your drive or on the road outside your house. Our team will turn up, collect all your waste and take it straight away. No waiting, no fuss! Read Our Skip Hire Reviews! If you’re based in Hornchurch and want to get rid of your waste you now have two options; either our standard skip hire or our waste clearance service. We’re happy to quote for both solutions, and to talk you through the process, so you can make an informed decision about the best course of action. We think you’ll be surprised by the ease and cost of finally getting rid of that waste, but don’t just believe us. 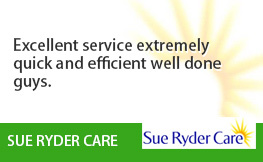 We have dozens of testimonials from happy customers in your area – feel free to take a look for yourself. So don’t delay. 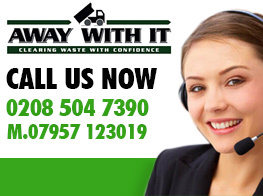 The sooner you call us, the sooner you can be rid of your waste. Even better, we’re often able to pop over the very same day to provide a quote, and can often take your rubbish away on the spot. If you decide you’d like to hire a skip, this can be arranged at very short notice. So call us today on 0208 504 7390 – we’ll be waiting for your call.